In 2014, the Harvard Business Review wrote about the rise of big brands hiring top-talent journalists to work on their content teams. Journalists are trained to tell stories, gather research, inform audiences and uphold ethical standards. Even if you’ve never stepped into a newsroom, you can improve your content writing by applying journalistic best practices. We’ve listed a few here and enlisted the advice of a few of our own journalists-turned-content-writers at Brandpoint. Known as the “journalist’s bible,” the Associated Press Stylebook is a universal reference guide. It covers everything from grammatical rules, to abbreviations, to the formatting of numbers and word usage. It brings consistency to a publication so that you and your coworkers don’t have to fight over the proper capitalization and spelling of international cuisine. Many organizations create their own style guide, which is usually specific to products and services to keep marketing materials consistent. Whether you use AP style or a custom style guide, it can be a tremendous asset when creating branded content, especially when multiple people are involved. If writing a piece of branded content for distribution (such as a MAT Release), use AP Style. It’s the style most publications use and those editors are more likely to choose content that’s already been formatted correctly. What to do: Purchase the most recent version of the AP Stylebook and start reading. You’ll start to understand when it’s appropriate to use and when it’s not. There are also several tests online you can take to learn what you should study most. Journalists have practiced scouting stories and learning what is meaningful to their audience. While journalists don’t necessarily write for what marketers call a “persona,” they are experts at identifying the most crucial information to share. One of the most commonly taught structures for a news article is the inverted pyramid. This begins with the most important facts in the “base” of the pyramid, followed by non-essential information called “nut” graphs. (Learn more on Purdue’s Online Writing Lab.) This structure also works really well for your branded content, blogs in particular. This is a good practice for writers who tend to blabber. Taking a more journalistic approach to content will help you write minimally and focus only on the information that’s important. Brands no longer just advertise or create product-focused content. They share tips and information consumers can actually use. Brands have become expert sources (and sometimes entertainers!) that consumers regularly visit. Consumers CHOOSE to subscribe to a newsletter or follow brands on social media to stay updated. That’s because good content marketers can identify exactly what their audience wants and give only that information to them. This is a skill journalists excel at. What to do: When Kevira works with her group of writers, she tells them to ask “why should I care” about a piece of branded content. While journalists are often scrutinized (especially during the last presidential election), good journalists take pride in maintaining integrity and objectivity when reporting a story. She also says that good journalists don’t plagiarize or publish incorrect information unrepresentative of the truth. Similarly, brands have a duty to tell the truth about their company and their products to consumers. In the case of brands who share stories that resemble a news or magazine article and don’t even mention a product, they may want to take similar actions as a media organization—recruit fact checkers to verify every bit of information. What to do: As part of every journalism student’s education, they study the Society of Professional Journalists’ Code of Ethics. Contently has put together a similar code of ethics for content marketing, and gives examples of their own ethical responsibilities. One way for reporters to remain honest and reliable is by doing their research. Whether by getting information directly from a person or by digging through sources and studies online, journalists must be able to back up their statements. At some point in a journalist’s career, he or she masters the art of sifting through long, complicated documents to find interesting data points. These may support a statement in an article or be data that needs further digging. Reporters are also good at discovering when something needs further investigation or clarification to the public. They’re always on the lookout for a story. This analytical approach benefits your branded content marketing because you know that your posts will be as accurate as possible. The journalist-minded writer will also be able to identify opportunities for presenting the most thought-provoking material to your audience. What to do: Even if you’re an expert on the topic that you’re writing about, start researching for every piece of content you write. Find recent data to prove your points. Stay in-the-know about your field by subscribing to industry newsletters and keeping track of useful statistics and trends that you may want to cover. In content marketing materials, sometimes finding reputable, online sources is enough to cover your bases. But be sure to cite where that information came from. Kevira asserts the importance of quoting. “Anything you write should include the source, whether it’s a person or publication,” she says. While relying on the internet for information is a big time saver, firsthand sources lend more credibility to your blog and show that you did your homework. It’s standard practice for any journalist to interview sources for an article. They’ve refined how to properly conduct an interview from preparing background research and questions, to displaying appropriate body language, to follow ups. You don’t want to produce branded content (or any kind of content for that matter) that’s been regurgitated time and time again. Adding new voices to your post will make your content standout and make it truly yours. Plus, those sources are likely to share your content with their audiences! What to do: Work interviews into your editorial calendar and choose which pieces would benefit most from a firsthand source. Make a list of influencers or experts in your field who you’d like to interview. And don’t forget to practice! Columbia University lists interviewing principles and best practices, including types of questions to ask. News doesn’t stop. Journalists work in fast-paced environments and are faced with pressure to “feed the beast,” says Jodi. 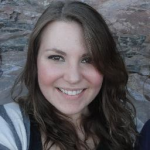 “Because the news happens fast, they have to connect the dots quickly when it comes to understanding complicated issues,” she adds. You can find a good storyteller, but journalists in particular are pros at churning out accurate and high quality work at high speeds. Especially if you’re an agency producing content for multiple clients, this is a highly desired skill. What to do: Even if your blog isn’t due to your content editor for a week, set your own deadline. Can you get it done in two days? One day? Just a few hours? 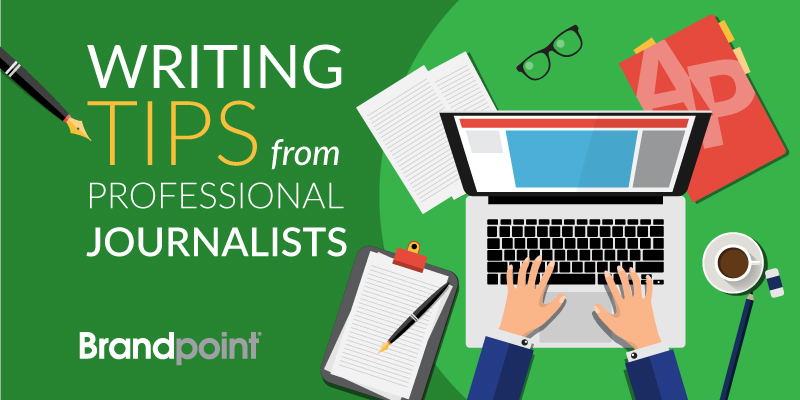 Journalists make great branded-content creators, but even if you or your team have never stepped foot in a newsroom, you can start practicing these journalism skills to incorporate into your content marketing. Brandpoint’s writers tout an average of 12 years of writing and journalism experience. Learn more about working with us!